We offer, deliver, install and service Olhausen Tables and game room products that offer hours of family fun. Your family and friends will enjoy playing and competing against each other in your dream entertainment space. We provide FREE delivery and expert installation! See the many accessories available to customize your special room. 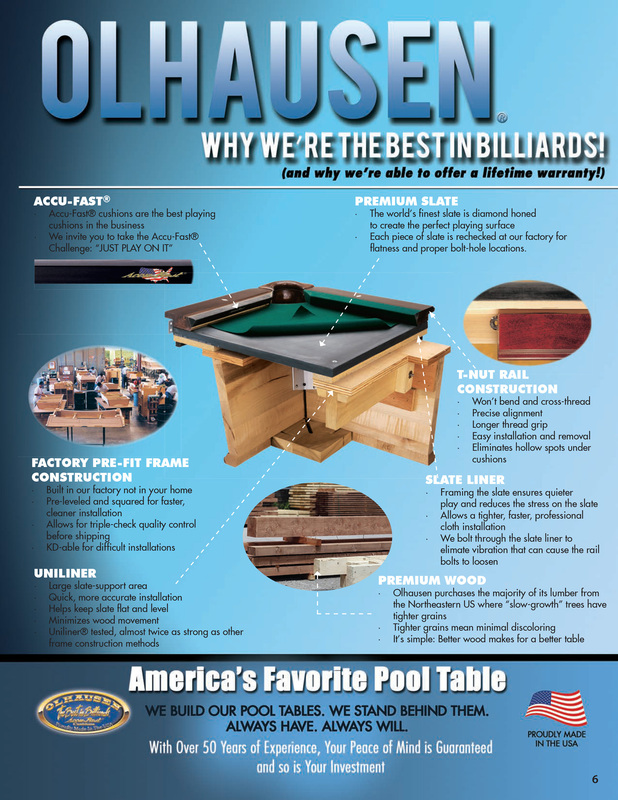 Olhausen Billiards Factory Video, Custom Pool Tables & Shuffleboard Tables Made In the USA! 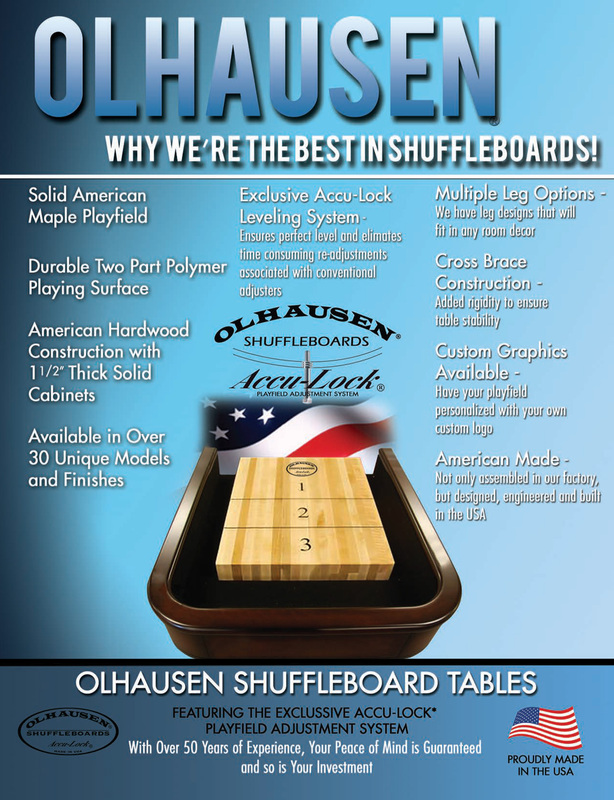 Why Olhausen is the best in shuffleboards! Over forty years of Olhausen craftsmanship has gone into building the World’s Best Pool Tables and Billiards. 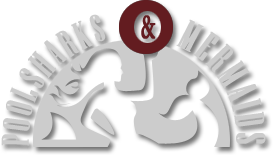 We have now applied our knowledge and experience into a spectacular line of American Made Shuffleboard Tables. Available in similar designs to match our trusted pool tables and billiards as well as finishes. Also available in many sizes. We are sure our new shuffleboard tables, backed by our lifetime warranty, will add hours of family fun to your home! Your family entertainment room deserves the best game furniture manufactured by Olhausen. Stop by and see some of the quality tables and products.